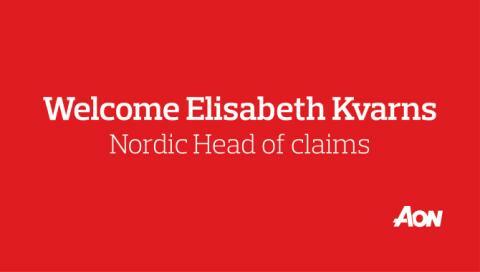 Aon Nordics are proud to announce the appointment of Elisabeth Kvarns, who will head up the newly created position of Nordic Claims Counsel. This new role further strengthens Aon’s ability and focus to offer our clients and business partners a truly specialised and qualified claims service. Elisabeth has a solid background in the insurance industry, where she was most recently employed at Chubb as their Nordic Claims Manager. Prior to this, Elisabeth served as Claims Manager for AIG’s Swedish operations. Elisabeth will work closely with Aon’s international claims teams, to take an active role in further enhancing Aon’s claims offering. Elisabeth will be there to guide clients when they have suffered a claim; advising them about what to expect time-wise, what documentation is likely to be needed and how the client’s policy is expected to be affected. In addition, Elisabeth will devote time to proactively streamlining claims handling and adjusting and ensuring that the claims payment processes are more efficient and predictable to the clients. Ultimately, we foresee that this work will result in claims protocols being established with the majority of Aon’s carrier partners. Elisabeth will be based in Aon's Stockholm office but with a Nordic remit. 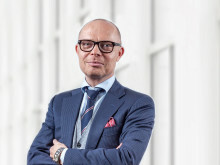 She reports to Fredrik Forsström, Nordic Chief Broking Officer. Aon Denmark er en del af Aon plc. En førende global professionel rådgivningsvirksomhed med en bred vifte af risiko-, pensions- og sundhedsløsninger. Vores 50.000 kolleger i 120 lande styrker resultater for kunder ved at bruge proprietære data og analyser til at levere indsigt, der reducerer volatiliteten og forbedrer ydeevnen. I Danmark har vi tre kontorer - i København, Kolding og Århus - hvor et team på 220 dygtige og engagerede mennesker betjener et bredt udsnit af danske og internationale virksomheder.